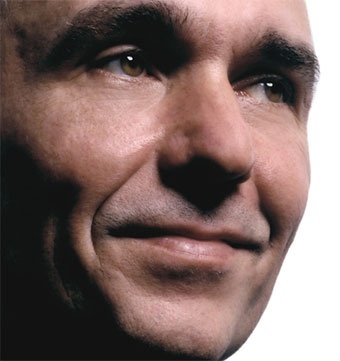 Peter Molyneux has broken down and officially confirmed that Fable 3 will make use of Project Natal. Though the universe already knew that Project Natal was likely to be integrated into Fable 3 somehow, Peter Molyneux has officially confirmed this as fact. The news came out at a recent lecture of Molyneux's which took place at the British Academy of Film and Television Arts (BAFTA). Molyneux reportedly also showed off Milo, the AI experiment and future ruler of time and space. Further, Molyneux made it known that he intends to integrate an in-game shop into Fable 3, which would allow for seamless DLC purchases. Examples given for what might be offered were special weaponry priced at around $1 and "journeys" that would unlock new expansion areas. This would be a good way to let the mainstream know that extra content can be purchased online, just as long as it doesn't get too deep into micro-transaction territory (i.e horse armor). Project Natal was unveiled at E3 earlier this year, and is Microsoft's effort in the new initiative to emulate the sales of the Nintendo Wii by getting rid of the common videogame controller. And that's just what Natal does, completely gets rid of the controller. For example, Natal allows gamers to control a racing game by pretending as if they were holding a wheel, and by moving their feet back and forth to simulate pedals. It also is a scanner of sorts, supposedly able to precisely scan real objects such as people's faces to log into Xbox Live accounts, and skateboards for use in a game. Just what Natal will be used for in Fable 3 is still a big unknown, but if the game ends up forcing people to make chopping motions to chop wood, or the like, that will be disappointing. There is a huge amount of potential for Natal to be used in an RPG series like Fable; hopefully it won't be forced and will only be programmed in because the designers actually want it there to improve gameplay.